Publicis Media boss Steve King has named regional chief executives to cover three key areas of the world and streamlined its media agencies into four global networks. Tim Jones becomes regional chief executive for the Americas, Iain Jacob regional CEO for EMEA, and Gerry Boyle regional CEO for APAC, covering 20 top markets between them. Two longstanding group brands, Starcom Mediavest Group and ZenithOptimedia, "are retired to better enable a flatter organisational structure". King said the agencies Starcom and Zenith would continue as global media networks. Mediavest Spark will be a newly rebranded third network and Optimedia Blue 449 is to be a fourth "challenger" network. Each agency will be led by a global brand president. Lisa Donohue was named as global brand president for Starcom, Vittorio Bonori as global brand president for Zenith, Brian Terkelsen as global brand president for Mediavest Spark, and Andras Vigh as global brand president for Optimedia Blue 449. King said: "We are driven to get to the future first. Publicis Media is a fresh opportunity to simplify our organisation, invent more modern approaches to gain efficiency, introduce structures for greater collaboration and effectiveness, and drive new levels of scale and client value." Publicis Groupe set up Publicis Media as a division for all its media agencies in December as part of a wider restructuring and promoted Steve King to be its chief executive. It is thought that Publicis Groupe, the world's third biggest ad group, sees Publicis Media as a way to use its scale to compete with rivals such as WPP's Group M.
King made a series of other appointments as Publicis Media will have seven practices: data, technology and innovation led by Stephan Beringer; content led by Belinda Rowe; trading and buying led by Simon Pardon; performance led by Michael Kahn; business development and communications led by Lauren Hanrahan; business transformation led by Richard Hartell; and analytics, research and insight led by Steve Simpson. Publicis, which has suffered a tough time in its key North America market where it lost Procter & Gamble and Walmart, confirmed the appointments of its US agency CEOs in the new set-up. Chris Boothe becomes CEO of Mediavest Spark, Dave Ehlers is CEO of Optimedia Blue 449, Lou Rossi continues at Zenith and Lisa Donohue is interim CEO for Starcom until a successor is named. They all report to Tim Jones, CEO of Americas. Maurice Lévy, the chief executive of Publicis Groupe since 1987, plans to step down next year. Arthur Sadoun, who heads Publicis Communications, and King are seen as possible contenders to succeed him. Lévy said: "The new Publicis Media imagined by Steve King is fully equipped to fit the future and best serve our clients. A leaner and simpler structure will bring more value to our clients and will further accelerate our growth." 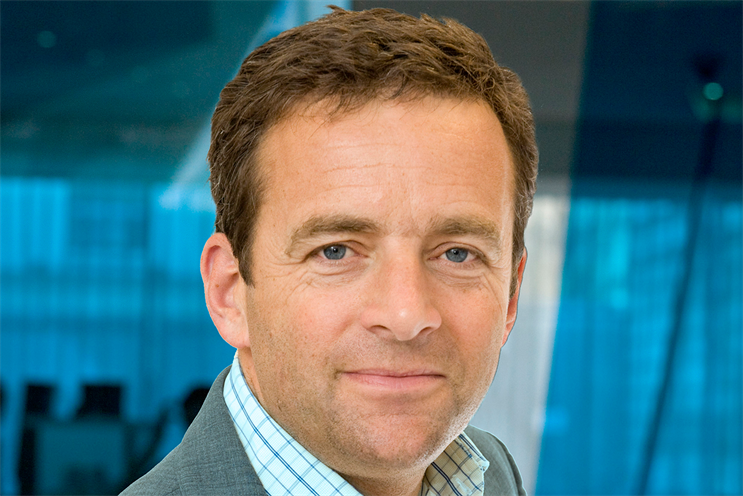 King was previously the global chief executive of ZenithOptimedia from 2004. Publicis Groupe's other three big divisions alongside Publicis Media are Publicis Communications, the creative arm, Publicis Sapient, the digital consulting arm, and Publicis Healthcare.